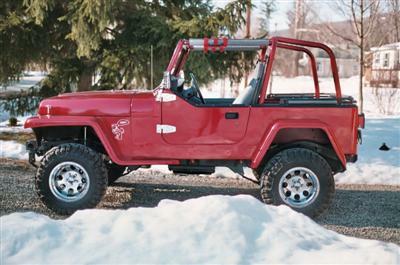 The words "Jeep Project" and "Jeep Lover" are almost synonymous as most owners are constantly adding or subtracting from their rigs just to make them a little better...if not unique. 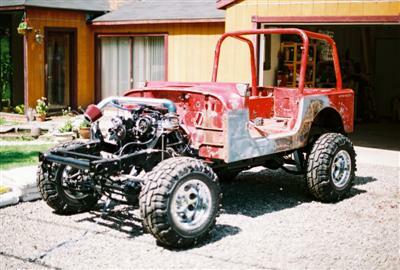 Then along comes Edward from Ithaca, New York who pushes the envelope a lot further by melding two great Jeeps together to get that unique look. 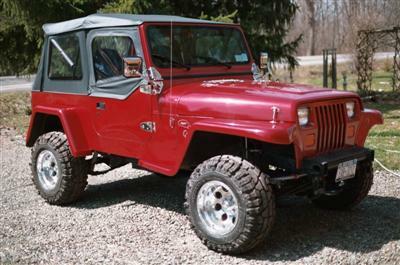 His original story sent to 4 The Love Of Jeeps.Com can be viewed here: "What if Willys still made Jeeps"
Ed started with a 1991 YJ with 4" lift, 15x10 alloys and 31x11.50 Thornbirds. 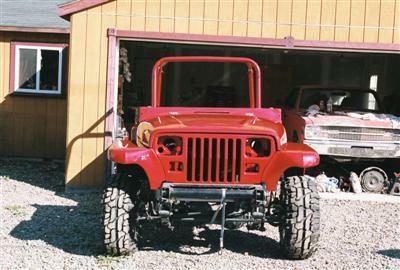 While using the YJ's hood, grill, tub and inner fenders he gained access to a 1954 Willys pickup and was able to blend the old Willys front and rear fenders to the YJ body giving the Jeep that retro "flattie" look. 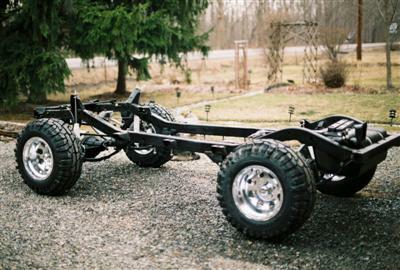 He said "you won't believe how well the 2 meld together. 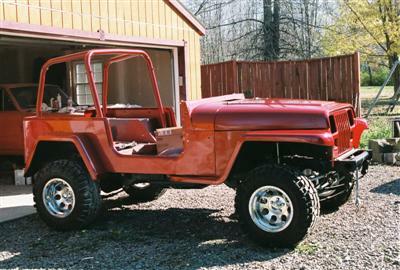 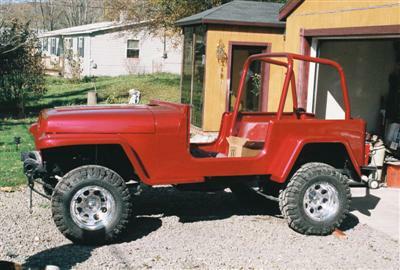 I was going to build flat fenders (myself), but after a friend of mine who has a Willys Pickup, Wagon, and a Jeepster said he had some extra fenders (that cinched it)". 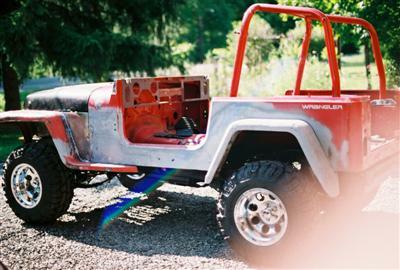 We have been following Ed's project almost from the beginning while he created a true hybrid (mixed parts) Jeep that sets itself apart from the pack. 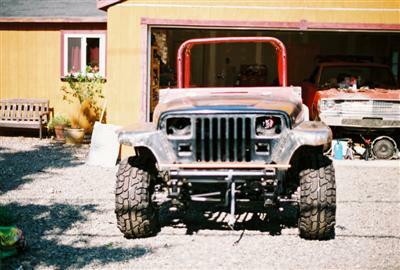 The following Jeep photos show various stages of this project in progress all the way to completion. 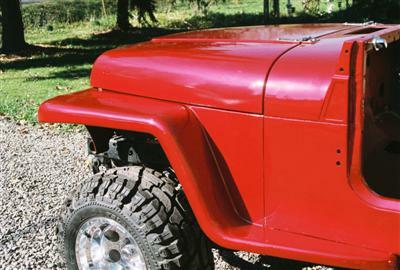 And Finally Photos of Ed's Finished YJ/Willys Project Jeep Appropriately Named "Rosie"! 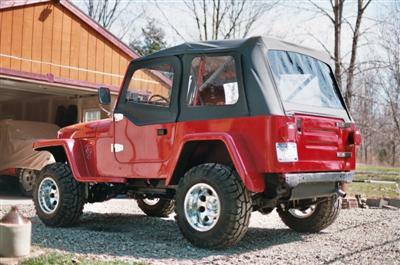 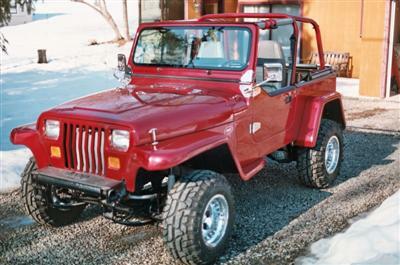 More information on Jeep history can be found on The Ultimate Jeep Wrangler Page at Parts Geek. 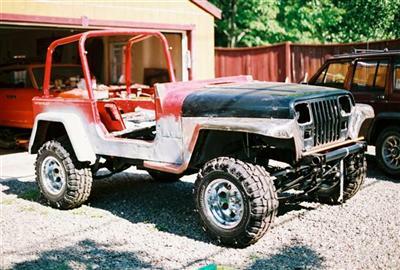 Why not show off your project Jeep? 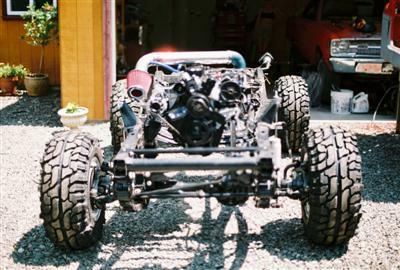 Send me some photos and a detailed description and I will consider it for inclusion on this website. 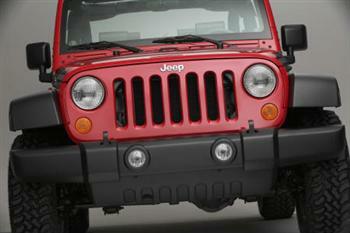 Get started by Contacting Me with your info and I will take care of the rest. Thanks...Larry.